As a parent and spouse, you try to ensure your family is healthy and happy, and you do everything within your power to keep them safe. It doesn’t cross your mind that the products that you are using to keep them safe may actually be placing them in harm’s way. When you think of health and well-being, proper nutrition and supplementation are often on the top of the list of ways to keep your family safe. You don’t consider analyzing the products you use for cleaning purposes, for example. The truth is that there are a number of known carcinogens in our homes lurking in the shower, the toilet, the kitchen cupboard, and the rest of the house that have the potential to substantially increase the risk of you or your family developing cancer. Here is a list of potential dangers, from air-fresheners and scented candles to shower curtains, which you can look out for to make your home safe again. At the end of the article I will also discuss warning signs that Wi-Fi / cellular radiation affecting your health and how to reduce dangers of Wi-Fi. According to a report published by the Natural Resources Defense Council, many of the air-fresheners we use in our homes on a regular basis contain compounds with carcinogenic potential. The vast majority of air-fresheners, even some marked “all-natural” or “unscented,” contain compounds called phthalates. Different types of phthalates have different health consequences although the majority of them affect reproductive health. Many of them can exacerbate respiratory conditions like asthma. When people use air fresheners, the phthalates are released into the air where they may be inhaled or may land on the skin and be absorbed. Once these chemicals enter the bloodstream, they can alter hormone levels and cause other health problems. A report in the Journal of Environmental Health Perspectives mentioned that phthalate exposure could be linked to increased breast cancer risk. Another medical report suggested that phthalates promote prostate cancer cell proliferation. Homemade air fresheners are one of the simplest products to make. Distilled water and a few drops of your favorite essential oils in a spritz bottle is all you need to keep your home smelling great. Shake well before each use and mist the spray around your home whenever you want to freshen the air. Or you can use it in an aromatherapy diffuser. You can also use these 10 air filtering plants. Particles from burning candles are extremely dangerous for your health according to several studies. One scientific experiment on mice found that particles from burning candles triggered inflammatory reactions in the lungs and damaged cells. The researchers also found that particles from burning candles had a stronger effect than diesel exhaust particles. Dr. Amid Hamidi from the University of South Carolina, who led the study said that an occasional exposure to a paraffin candle and its emissions will probably not affect you. But lighting many of them every day for years, or lighting them frequently in an unventilated bathroom, for example, may cause problems. Another scientific study on mice found that exposure to particles from burning candles greatly increased the progression of clogged arteries (atherosclerosis). Clogged arteries greatly increase the likelihood of heart attack, stroke, and even death. The same experiment also found that exposures to particles from burning candles induced telomere shortening in the lungs and spleen. Recent studies indicate that telomere length, which can be affected by various lifestyle factors, can affect the pace of aging and onset of age-associated diseases. Although the US Consumer Council has banned the sale of candles containing lead wicks, it is still a good idea to check your candles to make sure they don’t contain this potentially dangerous substance. Many scented products also contain dozens of harmful toxins and carcinogens. So check the chemicals used to create the scents of your products too. A simple way to check your candles is to use a piece of paper. Holding the wick, try to draw a line on the paper. If there is no line, then the wick most likely does not contain lead. You can also light the candle and hold the paper high above the flame. If a gray soot residue forms, your candles may contain lead. The U.S. Environmental Protection Agency found that scented candles give off more soot than unscented candles. Always burn your candles in a well-ventilated area. Try to choose candles made from nontoxic beeswax (like this one). Another option for bringing a calming fragrance into your home is to use this aromatherapy diffuser & essential oil set. The next danger comes from the plastic toxins that seem to be all over the house. You may recognize polyvinyl chloride by its abbreviation: PVC. PVC is the third highest produced type of plastic in the world. Although PVC may be harmless for certain applications, like sewer pipes for example, but when used in environments that can release the toxic carcinogenic compounds of PVC, this plastic polymer could become a ticking time bomb. Shower curtains contain PVC and other toxic compounds that can be released as you shower. These toxins can affect the reproductive system, the respiratory system, and may be carcinogenic as well. Some of the plastic products used to make children’s toys, containers, and other plastics may also be a health hazard (read my previous article about 7 good reasons to ditch plastic containers). Healthier alternatives for shower curtains include natural cotton curtains (like this one) or EVA curtains (EVA is a non-toxic alternative to PVC) like this one. Check your children’s toys and your plastic containers to make sure they are PVC free. Many carpet shampoos and fabric cleaners that are designed to offer superior stain removal power use a product called perchloroethylene. Perchloroethylene, also called Tetrachlorethylene, has been linked to increased risks of developing lung cancer. Carpet cleaners and fabric shampoos also sometimes contain a compound called naphthalene. Naphthalene is the main ingredient in mothballs, and naphthalene exposure is linked to an increased risk in developing throat and lung cancers. Baking soda is a great odor remover and white vinegar is effective for removing dirt and stains. If you want to get rid of your carpet shampoo, sprinkle your carpets with baking soda, add vinegar to your water to shampoo, and then wait for your carpets to dry. Sprinkle with baking soda again if necessary and then vacuum any powder that remains. Steam cleaning is another healthy option for keeping your carpets clean without the chemicals in carpet shampoo. You can find more uses for white vinegar in my article about the 10 surprising household uses for vinegar. According to the American Cancer Society, another carcinogen hidden in your cupboards could be Tetrachlorethylene or Perchloroethylene that has been used on your dry-cleaned items. These chemicals are often included as solvents in products like dry cleaning products. Wearing clothes that were dry-cleaned can unintentionally expose you to these harmful substances. Make sure your local cleaner doesn’t use perchlorethylene to clean your cloths. The term family usually extends to our furry friends. One would think that the products promoted as pet friendly would indeed be pet and human friendly. However, like your cleaning materials, there are a number of potentially carcinogenic chemicals in many of the tick, flea, and lice control products too. Some tick and flea products contain organophosphate insecticides, permethrin, and carbamates. These products are listed as likely to be carcinogenic to humans. You can use natural methods and you can get more information in my article on how to naturally get rid of fleas from your home, garden and pets. You can also read my articles on how to naturally get rid of spiders, ants, mosquitoes and flies. We are often fooled into thinking that certain products are automatically safe. This is particularly true of products like antibacterial products that are supposedly designed to make our environments safer. Recent concerns about an ingredient used in many antibacterial products have led to a ban in the use of this product in areas like the EU. Triclosan is an antibacterial and antifungal ingredient found in many cosmetics, soaps, detergents and even in toothpastes (like Colgate Total). Evidence suggests that Triclosan may be carcinogenic. Although initial tests were only done on mice, there were enough concerns to ban the product in the EU. Products like silver have been used for their antibacterial and antimicrobial properties (for example, advancing biotechnology incorporates ionizable silver into fabrics for clinical use to reduce the risk of infections), and the use of silver does not seem to pose any major danger to humans. However at home you can make your own natural antiseptic soap, or make your own sanitizing natural household cleaner. There are claims that deodorants could be harmful to you and even cause cancer. Why take the risk? Instead of using commercial deodorants, you can easily make a coconut oil deodorant or a natural lavender deodorant. The use of a chemical called triclosan in a top-selling toothpaste Colgate Total has provoked a lot of debate in the past. The toothpaste in question, which is made by Colgate-Palmolive Co., has been approved by the Federal Drug Administration (FDA) in 1997. It was only this year that the agency, following a Freedom of Information Act (FOIA) lawsuit, released all the safety data it had been withholding on this product. It emerged that for the past 18 years millions of people have been regularly putting in their mouths a toxin potentially linked to cancer, endocrine disruption, infertility and other health problems. Triclosan is a pesticide and resembles a major component of the Agent Orange chemical weapon sprayed during the Vietnam War. It is also known as 5-chloro-2-(2,4-dichlorophenoxy) phenol, and has initially been used in surgical hand scrubs and other disinfectants. It’s a derivative of 2,4-D, which is a highly toxic herbicide. Not exactly a substance you would expect to find in your toothpaste. Colgate argues that its toothpaste is safe; a claim supported by more than 80 clinical studies involving 19,000 people. Colgate spokesman Thomas DiPiazza cites an independent 2013 Cochrane study which found no evidence of harmful effects associated with using Total. However, triclosan has been gradually removed from other common personal care products, except for this one toothpaste. What’s more, the European Union has banned triclosan from all products that come into contact with food. This raises questions. The FDA itself was not all that sure about approving the toothpaste as an over-the-counter drug, and had concerns the chemical could increase cancer risk. Still, it went ahead and okayed Total. Part of the problem is that when the FDA made the decision about Total, it only looked at research findings that came from the Colgate’s labs. There was a cancer study conducted by the company, but even the FDA admits that it is hard to know how thorough it was. Studies that were showing fatal bone malformations in mice and rats, which could signal endocrine system disruptions, were dismissed as irrelevant. However, experts agree that when a chemical is considered dangerous to animals, it would be a huge risk to take it out to human population. When a presumably independent study showed that triclosan had no detectable effect on thyroid function in humans, it was revealed that three out of five authors received a grant from Colgate. One of the authors claims that the company had no input on data collection or analysis, but the doubts have nonetheless been raised. Other companies don’t use triclosan in their oral care products. As the chemical is used in a range of other products too, following the debate, many companies have announced the arrival of triclosan-free range of products, for example pet-food dispensers. However, the manufacturer of Total has no plans of changing the formula of its toothpaste and continues to market it as a product that promotes the health of your teeth and gums. All with the blessings of the FDA. Chemically, Teflon is known as polytetrafluorethylene. It was originally a waste byproduct of Freon production, which is the trade name for nonflammable moderately toxic gases or liquids which are used as refrigerants and as aerosol propellants. Freon and Teflon are both produced by the same company – DuPont. Teflon is made from perfluorooctanoic acid (PFOA), which has been associated with tumors and developmental problems in animals. What can you do to reduce the risks associated with Teflon? Never preheat an empty pan. If you use nonstick pans, don’t go above medium heat. If you see your pan is chipped or otherwise damaged, throw it out. Nonstick cookware should be replaced every couple of years to avoid toxic leaks. Use only wooden spoons to stir food, and avoid metal utensils on nonstick pans. Heavier-weight cookware is usually better quality and heats up a bit slower, so choose that. Use chemical-free cookware. Go for clay and glass cookware, stainless steel and copper pans, and cast iron pots and pans. Cast iron and stainless steel are a good alternative to nonstick pans and are durable. Glass works great for baking, for example Pyrex dishes. They’re generally not meant for stove top use. More and more people choose glass pots because of their simple design, elegant color, as well as the elegant style. In addition, the smooth surface of glass pots makes them easy to clean. Cast Iron is perfect for oven or stove-top use. Cast iron is my personal favorite because it’s so versatile. While cast iron cookware is free from PFOA, it is important to make sure the cookware you choose meets all the regulations for lead and cadmium levels. This might be a bit tricky as I find that food tends to stick to my stainless steel cookware but lots of people prefer to use it. Although it may take some research to find the best non-stick alternatives to your personal taste, I strongly recommend it. If you make most of your meals at home, it is important not to expose yourself to the risks involved in cooking with nonstick. The above list of products is just a sampling of the potential dangers of the products we take for granted. You need to take an active interest in the products you rely on to keep your family safe. Research the products you use regularly and search the ingredients. Detoxifying your home is an integral part of the detox concept. This includes not only detoxifying your body, but detoxifying your mind and the closest environments as well. You can find more information about this concept in my e-book The Detox Guide, which will teach you how to use detox to cleanse and energize your body and mind and how to detox your home. It’s pumped into our computers, phones, laptops, and tablets. It floats around our homes, workplace, trains, and even planes. Since its inception in the early 90s Wi-Fi has become a standard part of our everyday lives, but should we blindly trust it? Is Wi-Fi bad for your health? Sure Wi-Fi is a miraculous convenience for the modern person. It is used by hundreds of millions of people on a daily basis to connect to the web. It helps us work, stay entertained, and connect with others. But is it good for our health? The dangers of Wi-Fi are still under speculation in the medical world because it has become too much of a convenience to question. The fact of the matter is that the EMFs (electromagnetic fields) released from our technology aren’t something our bodies were naturally built to absorb. The issue of EMF impact on our health is only just recently receiving concern from medical experts. Electromagnetic Hypersensitivity Syndrome, or EMS, is an issue that concerns people exposing themselves to electromagnetic fields. Studies are just now showing that this medical issue is far more credible than we might have thought. According to one study, a cordless phone base station placed about two feet from your head and plugged in for three minutes at a time can significantly disrupt your heart rhythm. This study led by Magda Havas, PhD, of the Environmental & Resources Studies Department at Trent University, Canada. So far experts have been able to classify those who are affected into two groups. There are the people who suffer from minor symptoms and those who are more seriously affected. Swiss Doctor Thomas Rau from the Paracelsus Clinic found that in modernized areas almost 40% receive negative side effects from EMFs while 8% suffer more serious symptoms. It seems strange that a medical issue with such serious negative potential is receiving such little attention. How can such a convenient part of our everyday lives have these negative effects? Why isn’t more research being done? Companies making millions of dollars off their Wi-Fi services probably don’t want to answer these question just as much as they don’t want you to ask them. Wi-Fi and EMFs are growing exponentially and show no signs of slowing down. Some estimates say that the amount of hotspots are likely to triple by 2015. You don’t have to be a tech connoisseur to be exposed to EMFs on a daily basis, they’ll find you regardless. A hefty majority of the people around you are beaming signals right from their pockets and backpacks. Stores and restaurants are picking up on the earning potential of Wi-Fi and installing it in their establishments. Even if you don’t have a cell phone at all you could be a victim. It may be difficult to avoid soaking up the rays in our media saturated culture, but that doesn’t mean you can’t take steps to reducing exposure. A few minor life changes can spare you the risk of excess EMF absorption. Build up the strength of your immune system. This is the most important course of action because it will make your body more effective at rejecting radiation effects. A solid diet of organic foods, plenty of water, and the right amount of vitamins and minerals will do you good. You can also read my other post on how to boost your immune system naturally. Use landlines at home, work, and wherever else it’s possible. This causes much less exposure than a cell phone would. If possible, stick to corded phones – they’re the safest way to communicate without EMF penetration. Don’t keep your phone in your pockets, clothes, or on your belt. Try to carry it somewhere separate from your body, like in a suitcase or a purse. Keep laptops off your lap. I know the name of the device contradicts this concept, but portable computers are constantly receiving and giving off electric waves. If you have to use a cell phone, make messaging a priority over calling. Not only is it more convenient, it also is less dangerous than placing the phone directly next to your brain. If you have kids keep them away from cell phones. Children with developing bodies are the most vulnerable to the mysterious effects of Wi-Fi and other EMFs. They may resent you for it, but it’s for the best. Learn to use airplane mode whenever you can with your devices. It disables Wi-Fi and cellular data, which also will conveniently save a ton of battery life. If you aren’t expecting to give or receive any communication during the night, turn your phone off completely before bed. We still are limited in our knowledge of EMFs, but why risk it? With speculation that it could act as a carcinogen and harm your DNA they clearly aren’t something to be reckoned with. If you take matters into your own hands and try to reduce exposure you could be setting up a happy and healthier future. Don’t think the world will be over either – humans got along fine without technology for thousands of years! How Safe Is Your Nonstick Cookware? Cooking with Aluminum Foil – Is It a Safe Option? You remain the topmost in natural health info. Thanks. Aluminum is found in anti-perspirant not deodorant. Wow, scary stuff with no actual scientific research or evidence. What it comes down to is the leading of diseases and death are life!!! Hi Lara, the list of the resources is at the end of the article under the title “resources”. In addition there are direct links to sources in the article itself. Furthermore, the references are not inlined in your article and there is no attempt to supply references for most of the claims. There is no problem with reference  – it is showing the opposing view to the claim that deodorants are linked to cancer. There is nothing wrong with showing both sides of the argument – is it? I have modified the deodorants section to highlight this opposing view in the deodorants section. There is already a direct link in that section (which you just need to click) to a detailed article in the Time magazine about deodorants. Inlining of references / supplying references to most of the claims – There are quite a few direct links from within the article itself to supporting studies / sources. Some of the sources are also found at the end of the article. You didn’t give any evidence to your claim that “there is no attempt to supply references for most of the claims.” – You didn’t provide any example to claims that are not based on evidence. I cannot do anything about a generic comment like yours. If I missed a specific reference I am happy to look into it but obviously not based on such a generic comment. 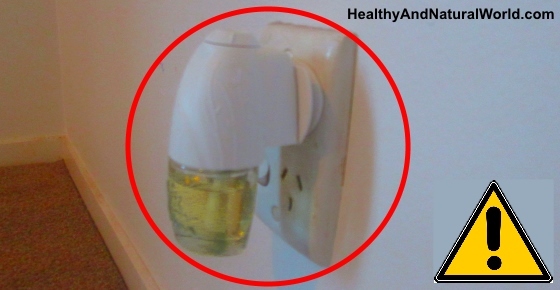 This source has no actual peer reviewed studies and claims that popular home air fresheners contain Phthalates that “is probably a developmental and reproductive toxicant.” Your source doesn’t even cite their sources or show their work. This source quite literally says that of the two studies that were done in 2002 and 2003 found different results each time and they both had their share of flaws. Yet the biggest information you gleaned from the article was “absence of evidence is not evidence of absence.” and “that wiping the chemicals found in deodorants under your arms and on the sides of your chest or breasts “could provide a route of almost direct exposure to underlying tissue containing estrogen receptors.”” You’re literally trying to scare readers away from consumer products by misrepresenting your sources. You say you are showing both sides of an argument but you aren’t. Placing sources at the bottom of an article that refute claims you’ve made isn’t presenting both sides of an argument. If you are going to present a neutral article then do that. If you’re trying to present an article that is giving homeopathic alternatives to commercial items that’s okay too but don’t blatantly lie about what you are to everyone. You can find all the peer reviewed medical studies used by the first report here. In addition the report was prepared by scientists. Thanks for raising this point – I’ve just added this source that contains the complete report to my article. In terms of “frightening” the readers – substantial part of that particular section presents the other side of the argument. You seem to have your own agenda by saying that “studies that were done in 2002 and 2003 found different results each time and they both had their share of flaws”. If you read the article in the Time magazine it clearly says that “a 2003 study did find ties” – you are obviously missing this point from your argument and you are only trying to look at flaws in the research and in my article. You also seem to accuse me by “giving homeopathic alternatives to commercial items” – is there anything wrong with that? Is there anything wrong by offering natural alternatives to commercial products that are laden with chemicals? I am not offering any “homeopathic alternatives” – FYI coconut oil is a natural products used by millions of people daily. Educate yourself about the difference between natural and homeopathic. You are clearly trying the discredit this article by accusing it in “blatantly lie about what you are to everyone.” – This article relies on substantial number of strong sources so your general argument is quite pathetic. While I appreciate constructive feedback – it is quite clear that you are promoting your own agenda and I wish you all the best. In my estimation everything causes cancer so maybe you should all live in a bubble. It’s not a matter of if you get cancer it’s WHEN you get cancer. You can do everything in your own power to live better so you won’t get cancer but if God decides that you’ll get cancer there isn’t anything you can do to overrule his power or sovereignty. Its such a cop out. Stick you head in the sand and enjoy! I second that…. hate those remarks. Great article. I’ve been aware of all of these areas touched on and have addressed all of these in my life already, and always on the search to see what other little changes/better choices I can make to live the healthiest way possible. There’s plenty of research out there. I’m actually studying an environmental science as we speak and I’m ready through tons of peer reviewed literature. I’m speechless actually. Anout just how much research has been conducted and published on various environmental health issues and when brought up people are laughed at. When people first made claims about tobacco being carcinogenic, people making those claims were laughed at. It wasn’t till many years later the truth finally came out. I love the Alternatives you gave for fleas and insects, is there something you can recommend that is actually strong enough to use specifically against ticks? I’ve heard that diluted white vinegar or apple cider vinegar (three parts water and one part vinegar) is also effective against ticks and not just fleas. So you may want to try it. You can at least avoid wifi use yourself by insiting on wired/ethernet cables and suitable modem that can have wifi off and disabled. Then you’ll need shielding methods or adequate distance from everyone else’s wifi which is the challenging part.